These three forces combine to create one guiding principle every company must adhere to: Transform or risk irrelevance. 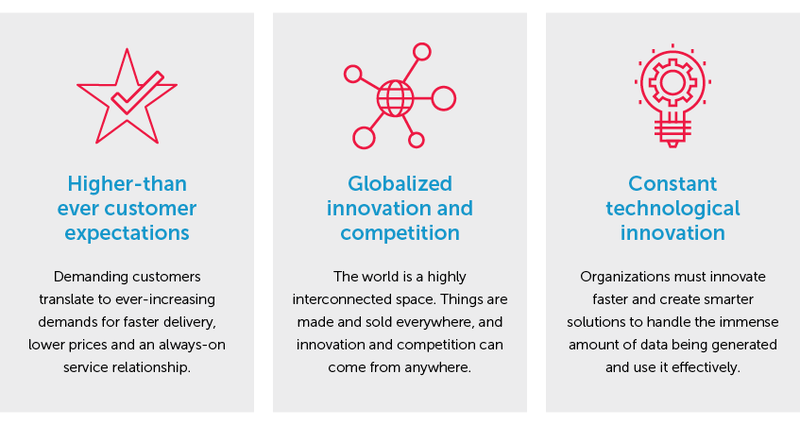 We invest in cutting edge technologies because we understand what it takes to succeed in the Acceleration Economy. And because – some day in the not-too-distant future – we too will take our hands off the wheel, safe in the knowledge that our car is being driven by the best technology solutions in the industry.